SEO PowerSuite update: Pause/Resume Tasks, Set Scheduler by Tags, Auto-Save Scheduler Results and More! Today’s SEO PowerSuite update is a bit unusual. I’m here without any loud brand-new-feature announcement, but with a pack of top 4 usability improvements requested by our users. SEO PowerSuite update, what’s really new? Make sure to download the freshest version of SEO PowerSuite (or let your tools auto-update) and let’s explore what’s new in the software interface. 1. Pause/resume any SEO PowerSuite task. Free your Internet bandwidth or wait till you have a faster Internet connection. Whatever the reasons, with this SEO PowerSuite update now you can stop and resume any task in SEO PowerSuite with a click of a button. Once you start any data update in SEO PowerSuite, your task is added to Task Manager. Open Task Manager in the bottom left corner of the screen and click button. 2. This SEO PowerSuite update alloes you to create scheduled tasks for parts of your project. Another useful feature for anyone working with big datasets is the ability to schedule updates for parts of your projects. Say, some of your keyword rankings need to be checked daily while the rest of them — weekly. Or you only need to export a specific set of data. 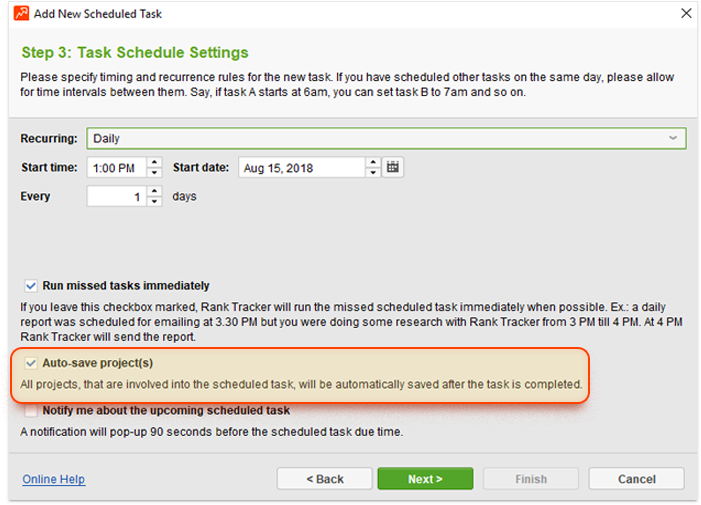 Go to Preferences -> Scheduler to create a new scheduled task. Choose the type of task and, on the second step, tick the checkbox “Include records with the following tags only”. 3. SEO PowerSuite update allows you to Auto-save your project upon a scheduled task completion. Quite often your scheduled SEO tasks run while you aren’t at your computer, and you simply want to check the results of the scheduled task from a different device (accessing the project remotely from the SEO PowerSuite Cloud or any other solution you use). To make this possible, you need your project auto-saved as soon as the task is complete. And this is exactly the option you now have in SEO PowerSuite. When creating a new scheduled task, make sure the checkbox “Auto-save the project upon task completion” is ticked. Note: For the existing scheduled tasks, please make sure to edit your older settings by clicking and ticking the same checkbox under Scheduled task -> Schedule. 4. With this SEO PowerSuite update, you can Copy data from any selected column or cell. In your SEO PowerSuite workspace, you mainly work with and analyze not separate cells but complete data rows. Like a keyword and all the ranking details for it, or a page and all the technical information for it. So, when you click on a certain cell in the workspace, the whole row is selected, highlighted and copied with Ctrl+C. However, sometimes you’d really like to select and copy data from just one cell or from just one single column. And now you’re able to do that by simply pressing and holding the Altbutton on your keyboard! By default, when you click on a cell, the whole row is selected. However, with the Alt button held, you can select any custom area of the table. Ok, gotcha. But what’s coming next? I really hope that today’s update makes your experience with SEO PowerSuite much smoother. But how about some new features and new technologies behind the software? Well, we definitely have something in stock for you for the coming month. So, how about a sneak peek? New backlink index in SEO SpyGlass. 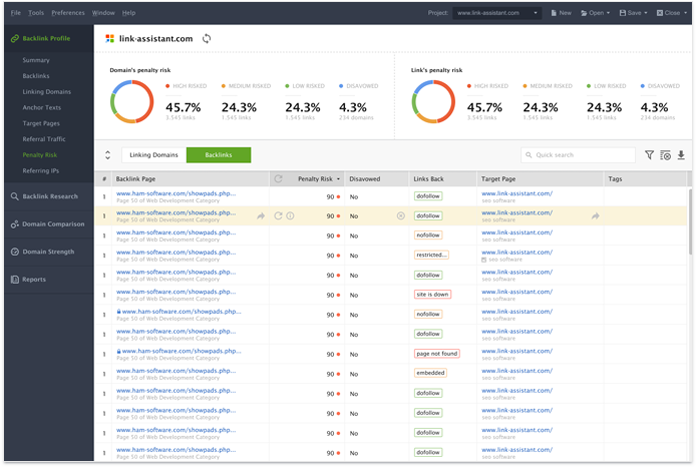 There’s no doubt our SEO SpyGlass tool has a lot to be improved on — both in terms of its interface and, most importantly, in terms of its backlink data. A nice and beautiful UI, which makes using the tool a pleasure. The first release is going to be a private Beta, so please stay tuned for the announcements on how to jump in. Hreflang audit in WebSite Auditor. 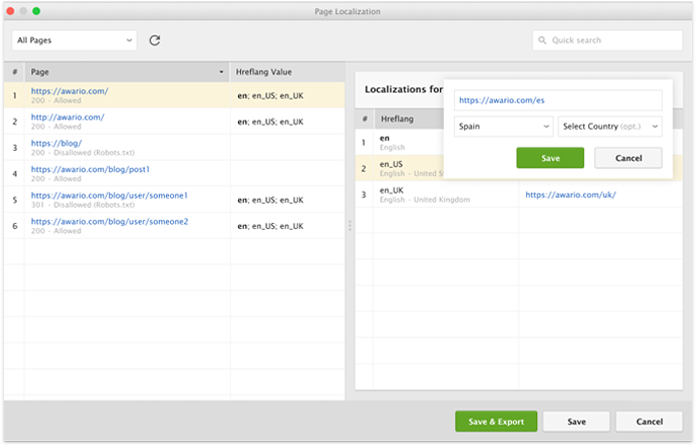 Another feature frequently requested by our users is Hreflang Audit, which is crucial for anyone involved in international SEO. That’s it for now — jump to download the latest version of SEO PowerSuite and give it a try. And please feel free to share your feedback and ask any questions in the comments below.